A unique feature where I interview two women. One a teacher, the other her student but both who are equally passionate about their profession. So much so that they partnered together to set up a performing arts organization in Singapore. Meet Bhupali Deshpande and Kumudha Panneerchelvam who share a common love – dance! Bhupali started her training in Kathak dance at the age of 7 years under the able guidance of Dr. Sadhana Naphade. She is a Statistician with a Master’s degree but chose to pursue her one true love – dance. Kumudha on the other hand, has been learning dance from the age of five. She started with Bharatanatyam and after a long break is now learning Kathak from her guru Bhupali Deshpande. 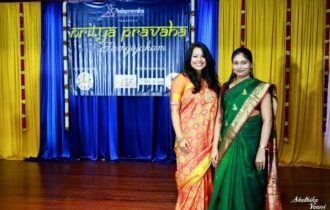 Bhupali and Kumudha, together founded Kalapravaha – Home of Performing Arts, in 2016 in Singapore. Bhupali: Dance was just a hobby to me but over the years, I witnessed the immense confidence and positive outlook it provided me in every situation of life I decided to take it up as a profession. Dance helps me express my innermost feelings to the outer world. I learn something new each time and unique ideas give me an opportunity to express my creativity. I can’t imagine my life without music and dance. Kumudha: When I was around five years old I saw my mother dance (Bharatanatyam) and I started to learn from her. Seeing my interest, my parents enrolled me into classes. Dance allows me to express through movements and takes me into a different world. Over the years it has taught me the importance of hard work, discipline and self-control. Most important of all, dance gives me the opportunity to continue learning. Evolving into a partnership, how did your combined vision give way to Kalapravaha? Bhupali: In 2010, Kathak was not as popular when compared to Bharatanatyam especially in Singapore. To raise awareness of this beautiful dance form, I took up every opportunity to perform across various platforms. In 2012, Sruthilaya school of Fine Arts approached me to join as a Kathak dance instructor in their school. I was pleasantly surprised to see how keen students were to learn Kathak and that is when Kumudha joined my classes. Kumudha: Bhupali observed my passion for dance and shared her dream of starting her own Classical Dance Institute. I gave it a thought and a few days later I presented an idea of starting an Institute together. We decided to join forces and it helped that I was Singaporean and a Communication Professional, while Bhupali was an eminent Kathak dancer and Instructor. That is how Kalapravaha – Home of Performing Arts was born. Can you share a bit more about the process of how you set up Kalapravaha? Bhupali: Initially we had to do a lot of background work and understand the proper procedures to develop a dance institute in Singapore. Being new to this industry, Kalapravaha started with Kathak department and then slowly expanded to Bharatanatyam and Mohiniyattam. Singapore is known for its evolving style of art-making and multiculturalism and therefore our aim was to present different forms of Indian traditional dance techniques and philosophies. Kumudha: Till date Kalapravaha has a steadily growing number of students under its umbrella. Students take exams (practical and theory) annually after completing the curriculum of each level. There are also opportunities for students to showcase their talents. Other than external shows Kalapravaha also organizes productions for the respective fields. In such productions teachers along with senior students perform with live music. What is your teacher – student relationship like? Especially how that you are also business partners? Bhupali: We have always maintained a positive relationship. When it comes to school administration matters we consult each other and take decisions together. We have created a bond that has worked well in all aspects and believe that mutual respect and understanding is very important to work together. Kumudha: When it comes to curriculum and class I give the utmost respect to Bhupali as a Guru. As we are both from the same age group, we are able to see eye to eye which is very crucial in such relationship. And as we both enter into motherhood at the same time, the support for and from each other just got stronger. What is your shared vision? Bhupali: We hope to expand our performing arts department (classical music, dance and instruments) in the future. We also look forward to collaborate with other organizations and institutes to organize events and workshops with renowned people in their respective fields. Kumudha: We will continue working on production with creative and new ideas to present to the audience. We wish to not only grow in the number of students but to also groom students who have a very keen interest in the performing arts field. 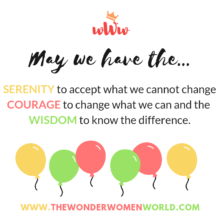 A perfect example of not only how to transform your passion to profession, but how women can work so fabulously together to make their dreams come true. It is indeed inspiring to see the bond of sisterhood between Bhupali and Kumudha and we wish them all the best as they hope to build a successful organization that provides a conducive learning environment for all.